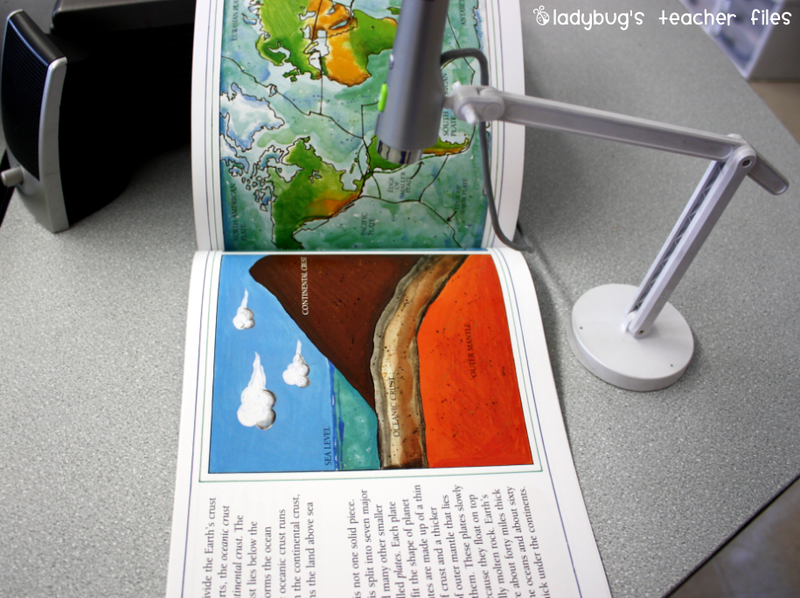 Sooo…I posted last winter about my lovely little IPEVO document camera. This is one of the most incredible tools we have in our classroom. And it was only $69.00!! For a document camera! how to make it focus well–which took me awhile to figure out (I’m notoriously bad at reading directions…I’m kind of a rip-it-out-of-the-package-and-start-using kinda girl!!!). Tiny backstory: I first learned about this camera over at Proteacher and I am so grateful to those fabulous teachers for sharing this! 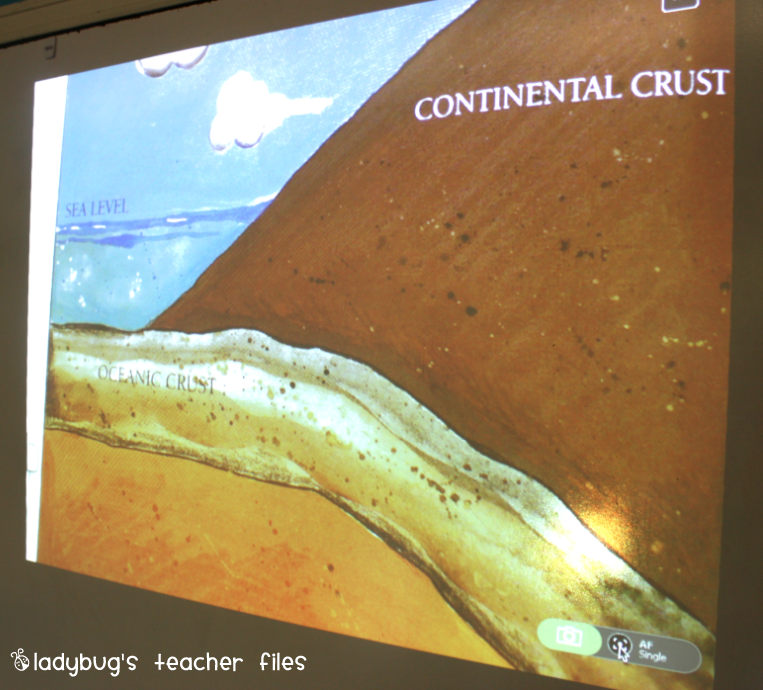 The IPEVO has completely changed my teaching! We have a few Elmo’s at our school, but they are in very high demand and they are one of those tech tools that you want to use ALL of the time, not just on some lessons. I kept trying to keep the computer near the IPEVO, but would always run out of space for the book/paper. Today (sometimes it takes me awhile) I finally figured out that the computer could be away from the camera and still work out (haha)–I’ve been a little stressed lately and this was the first calm day to think this through! So I used my trapezoid table for the tech items shown above (the cords are tucked under the projector and fed around the back of the table, so they are hidden). 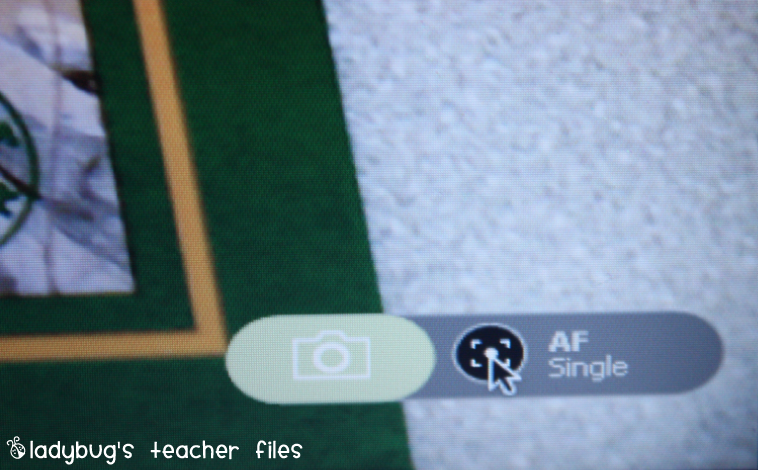 The Auto Focus feature also keeps it really clear and focused for any demos. Today I did a watercolor modeling and it looked very nice (not my watercolor, the resolution, you don’t want to see my artwork!!). They’re tucked behind the projector, facing the students. I love my new setup! Well, I hope this was of help to anyone seeking an affordable document camera. I can’t say enough how wonderful it is to have this technology for my ELL students! Do you have an IPEVO? Or a favorite tech tool that has made a big difference in your class (please don’t say a Smartboard, I know I’ll never get one and I tear up every so often—joking! Kind of!). I’d love to hear about your tech! 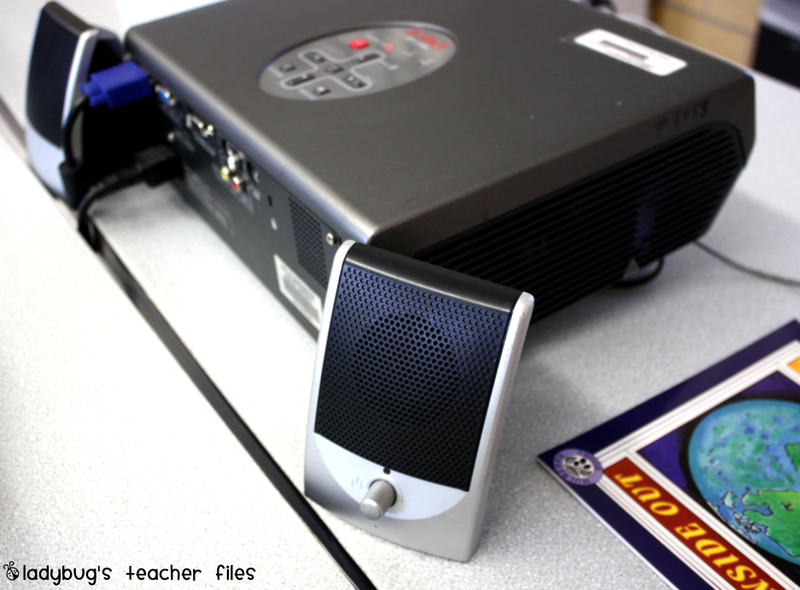 I love my ipevo…mostly because of the price. I use to be an 'overhead' teacher, but with my ipevo, projector, and computer, the overhead is just sitting in the storage closet. Our district got us document cameras this year and I am wondering how I ever taught without it???? May seem silly Kristen, but where do you stand/sit in relation to the rest of your class? My laptop, speakers and camera are beside my Smartboard (sorry :/) and when I use my camera my back is to the kids. I really want one of those for my classroom. The price is really good. Did you already have a projector or did you buy that too? I only have an overhead projector and it kills me because I LOVE technology. Hi Libby! The laptop, camera, and speakers are on that table and it faces the whiteboard. I have the laptop screen facing the whiteboard, which makes it possible for me to stand facing my students while using it. Same with the camera. Since they are on separate ends of the table, I have a student that gets to be "in charge" of each (whether it's a demo or turning a page on the the camera) and focusing the computer. Hallie, we have some projectors in the school that we can sign out. The projectors are pretty expensive, maybe it could be a Donors Choose proposal?? Thanks for stopping by! I also love my IPEVO camera! I use the mirroring feature so the camera can be placed above the object instead of under it. I mirror horizontal and vertical to do this. Previously, the software wouldn't save the mirroring settings so you had to change it every time…There is now a software update if you are running Mac OS X 6! Do you think this could work with a projector that is mounted to the ceiling? I am VERY interested in purchasing! Nice blog on Document cameras. 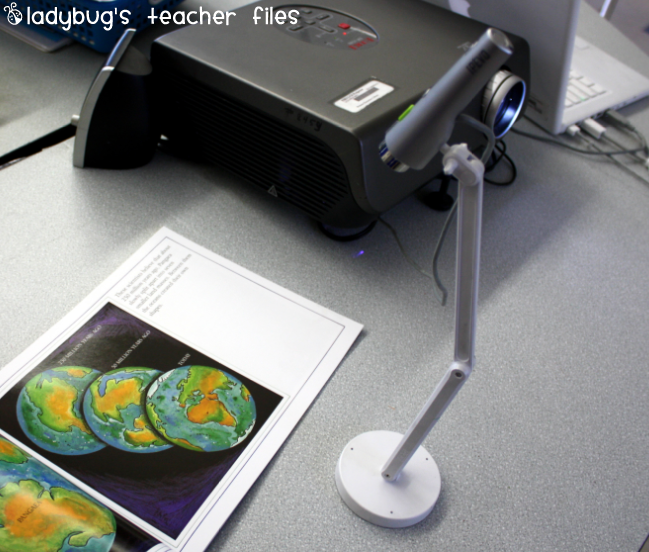 Document cameras provide powerful and affordable technology solutions for teachers to create high impact lessons and many more…. I was inspired by this blog to go out and buy one of my own. I've also given a nod to your post on document cameras in my own blog. Thanks for all your help! I have a IPEVO and I use it daily. Several teachers in my school have Elmo's which cost several hundred dollars and I must say that I like the IPEVO better. It's small, portable, and very easy to use. I wish I had purchased this a long time ago! I love to bargain.. I can only bargain at MyDeals247.com where else?